You’ll be able to dine like the doctor with this fantastic new set of sonic screwdriver cutlery. The silverware is available from Entertainment Earth starting in November, but you can pre-order it now. The cutlery is $29.99 for a set of 3 (a fork, knife, and a spoon). Make sure you grab multiple sets so you have enough for you and your companion(s)! Want to go all out? Make sure you grab the peeler ($16.99) and the washing brush ($15.99) as well! 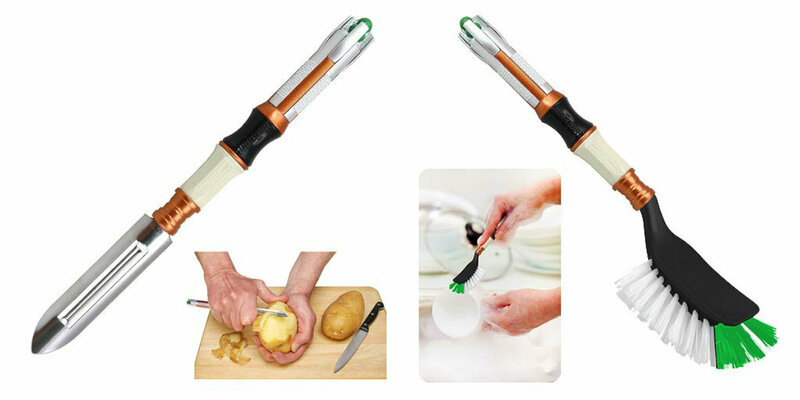 Will you be picking up these Doctor who-themed tools? Do you have any Doctor Who decor in your kitchen?